Compact but powerful soft starters. 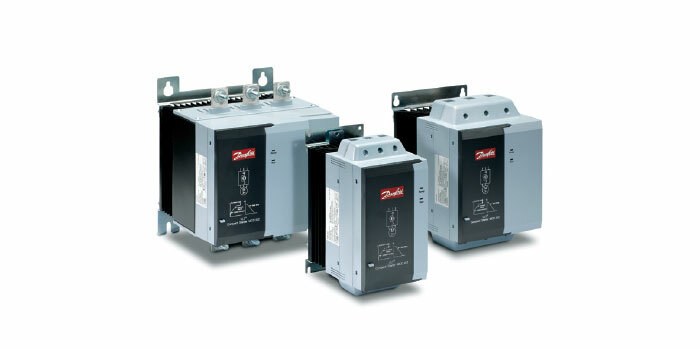 Two families of soft starters that provide a total motor starting solution for motors up to 110 kW. The MCD 201 offers efficient motor-starting features, while the extended MCD 202 version provides enhanced soft-start functionality and additional motor-protection features. The series of soft starters offers easy DIN rail mounting for sizes up to 30 kW, 2-wire or 3-wire start/stop control and excellent starting duty (4 x le for 6 seconds; heavy starting ratings at 4 x le for 20 seconds). They are compatible with grounded delta power systems. Pumps, conveyors, fans, mixers and compressors.